Do you know why the maple leaf is on the flag of Canada? It is a beautiful leaf, but the reason it was chosen when Canada looked for a new flag in 1994 was because its maple tree is magic! 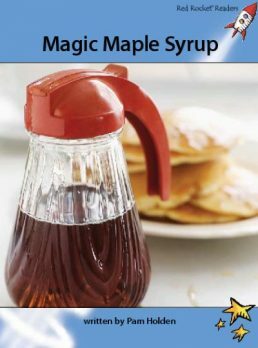 It produces maple syrup, which is a delicious treat enjoyed by millions of people in many countries. Most of the worlds supply of maple syrup is produced in cold regions of North America.